A round sterling silver pendant with two hearts layered in the centre, one of them covered in a beautiful pink Rose Gold plating. Hung on a sterling silver chain, finished with a freshwater pearl. 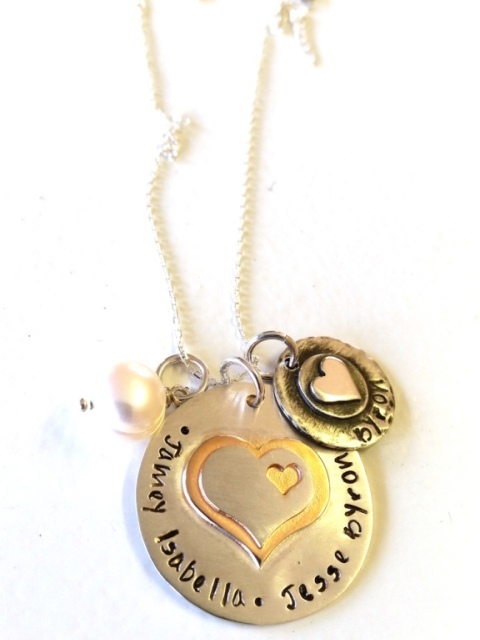 Add an extra small hammered round charm as a final touch and stamp it with a loved one's name. Please select your choice of charm/s separately under the Charms Category. Notify me when 45cm fine oval link chain Layered Rose Gold Plated Heart Pendant is available.